Like many websites, we use small files called cookies to ensure you get the best experience from your visit. Our cookies cannot install malware, carry viruses – or even add calories. Simply continue using APH.com to agree to their use, or click here to find out more. It appears you may be travelling in a group – please contact our call centre where we’ll be able to give you the best possible prices for your requirements. Please check your requested parking times! Flying from Gatwick Airport can be a little daunting at times, so why not make it easier by booking meet and greet parking through APH. 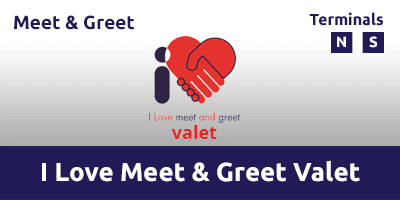 Meet and greet is the perfect parking solution for anyone who wants a fast and easy route to the check-in desks. No need to drive to an off-airport car park, or negotiate a busy transfer bus – just head straight to the terminal. There really isn’t any faster way from your car to the check-in desks. Get your quote now and see just how cost-effective this time-saving parking service can be. Are you flying from the UK’s second busiest airport? Here’s how Gatwick Airport meet and greet parking could be your gateway to the stress-free getaway you’ve been yearning. Read this guide to find out how it works, why it could be perfect for your trip – and just how affordable this premium parking service really is. Find the information you need here. Heading to Gatwick Airport for many travellers involves negotiating the nearby M25 and M23 motorways – and battling dense rush-hour traffic in the process. Booking meet and greet services – including our own award-winning APH Meet & Greet Forecourt – can save vital time as travellers make their way to the Gatwick check-in desks. No need to travel the motorway only to head into unfamiliar countryside in search of off-airport car parks – with meet and greet you’ll drive straight to the North or South Terminal. This will help slash journey times by up to 45 minutes compared with those for park and ride services. 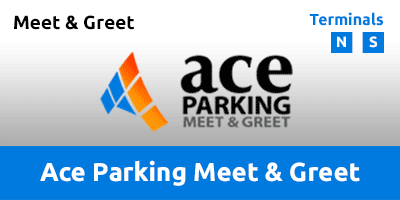 Along with trimming the time it takes to reach the airport, meet and greet services like Ace Parking Meet & Greet can help to offer a seamless and stress-free transition from car to terminal. Just arrive and fly – it’s that simple. Who is meet and greet parking for? Meet and greet parking is typically considered a premium product, but that’s not to say it’s exclusively reserved for travellers with cash to spare. Booking Gatwick Airport meet and greet parking is within reach of all travellers, regardless of budget. From those travelling with young kids to passengers with mobility issues or bulky bags – meet and greet parking can provide a welcome alternative to the additional ‘effort’ required for off-airport parking. Business travellers will also reap the benefits of selecting Gatwick Airport meet and greet parking. No wasted time driving to an off-airport car park and queuing for the transfer bus, just plot a route straight to airport and into the terminal building – while the car’s parked in a nearby secure car park. Business or pleasure, meet and greet parking really is the perfect solution for anyone who simply wants to enjoy a fast and stress-free route from car to check-in. The step up in luxury does bring a small increase in cost, but the additional investment offers big returns in terms of luxury and convenience compared with using the likes of off-airport and official on-airport Gatwick parking. You’ll save over 40 minutes in journey times compared with park and ride services – while also avoiding the transfer bus. Meet and greet will also bring the reassurance of knowing your car is in a private car park – unlike many on-airport multi-storey facilities where members of the public – and their panel-bashing cases – are free to roam. This table gives an insight into how much you could pay for various types of Gatwick Airport parking. We’re sure you’ll agree the added comfort, time-saving and security benefits that come with services from approved meet and greet operators are worth the added cost. 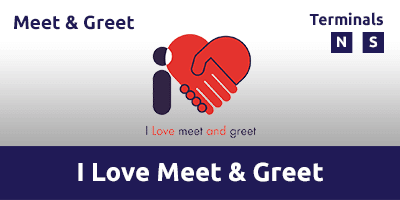 Enter your travel dates now and find out just how little you could paying to enjoy meet and greet parking from APH or one of the other Gatwick Approved Operators we work with – such as I Love Meet & Greet Parking. How does Gatwick Airport meet and greet parking work? The headline for Gatwick meet and greet parking is simply how easy it is to use – and how quickly drivers can swap their car for the check-in desks. This contrasts with passengers using park and ride services who’ll typically drive to an off-airport car park before catching a transfer bus all the way back the terminal. So, for those who’ve never used meet and greet parking at Gatwick, here’s a quick overview of how it works and why it’s the go-to solution for savvy travellers heading out from the airport’s North and South terminals. Passengers using meet and greet car parking at Gatwick can choose any of the providers offered by APH – regardless of whether they’re departing from the North or South Terminal. Services such as APH Meet & Greet Forecourt and Ace Parking Meet & Greet are perfect for both terminals. On the day of the flight, travellers will drive to a prearranged meeting point close to the North or South Terminal. Once at the drop-off point – typically the terminal forecourt, nearby multi-storey car park or on-airport hotel – the party can unload their bags and head directly to the check-in desks. At this point, their vehicle will be taken to a security-protected car park by a fully insured, uniformed driver from the meet and greet provider. The car will remain in this safe, security-controlled location while the owner’s away. Returning to Gatwick is just a simple and stress free. Once again, no need to jostle for space on busy transfer buses – just head to the nearby collection point where your car will be ready and waiting. As with the outbound trip, meet and greet parking will cut up to 45 minutes from the returning passenger’s onward journey. Perfect for parents with young children or anyone simply looking forward to getting home after a long tiring journey. Gatwick Airport parking really doesn’t get any easier. Simply arrive, unload your bags and let your holiday start. Additionally – with APH calling on airport parking experience spanning four decades – travellers can rest-assured we only work with legitimate providers such as Ace Meet & Greet and I Love Meet & Greet Valet. Despite regular scare stories in national press, ensuring you purchase legitimate meet and greet parking is easy with APH and the Gatwick Approved Operator Scheme. The scheme – which is overseen by Gatwick Airport – provides a verified list of meet and greet operators who comply with strict guidelines. Booking meet and greet parking from a provider that’s not part of the Gatwick Air Approved Operators Scheme could put you and your vehicle at risk from rogue operators. As you’d expect, all the meet and greet providers offered by APH are part of the Gatwick Airport Approved Operators Scheme – meaning safe, legitimate and worry-free parking while you’re away. Booking meet and greet parking with APH offers the ideal way to ensure your car won’t be sharing it’s space with farm livestock or angry residents on public highways! Combining the Park Mark Safer Parking Award, the Gatwick Airport Approved Operator Scheme and airport parking experience spanning four decades, we know our customers can book meet and greet with confidence. However, we wouldn’t expect you to simply take our word for it – you can also get the full rundown on the Gatwick Airport meet and greet services we offer by browsing hundreds of verified, independent reviews left by genuine customers. All of the Gatwick Airport meet and greet products we offer include independent reviews from customers via the Reevoo ratings platform. For example, why not take a look at the more than 2,400 reviews for APH Meet & Greet Forecourt to see why it’s been rated an overall satisfaction score of 9.2. Find out what the people who really matter think of the services we offer before you buy. Just because it offers the ultimate in arrive-and-fly airport parking, it doesn’t mean that meet and greet parking comes with jet-set prices. In fact, we’re confident you’ll find the cost rather down to earth. Here at APH, we’re committed to offering the best parking at the best prices – and we’ll also make sure that loyal customers can save even more through exclusive discounts and sales. Start saving on your meet and greet parking right now by signing up to our email mailing list – making sure you never miss out on discounts deals or sales. Just add your email address at the bottom of this page and start saving real money. Along with discounts, deals and sales, savvy travellers can slash even more cash from their meet and greet parking bill by picking the best time to purchase their parking. The following graphic reveals how the cost of meet and greet parking fluctuates depending on how long before departure it’s purchased. 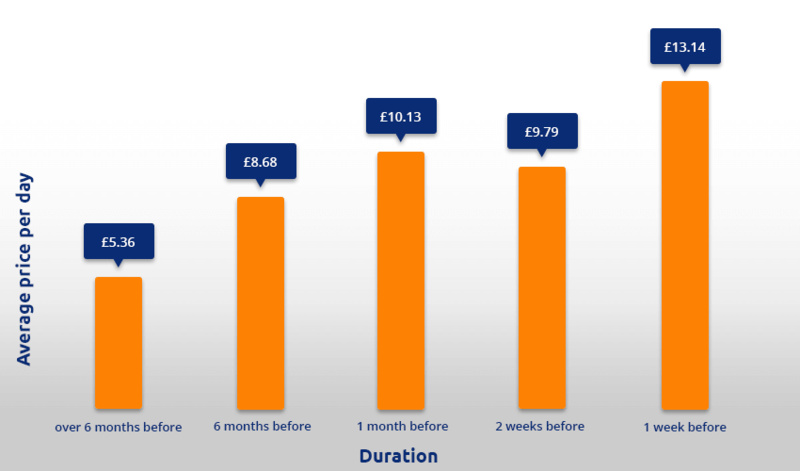 Booking your parking six months in advance of a trip could result in savings of around 60% compared with reservations made in the final week before travel. Putting this in real-world figures, you could pay less than £43 for a week’s meet and greet parking six months before travel, but fork out around £105 in the seven days before you fly. Does cheap mean less safe? Here at APH we always strive to pass on the best deals to customers, but we’d never contemplate or accept cutting corners to cut costs. Regardless of how much money you save on your parking, you’ll always receive the same level of security for both yourself and your vehicle. Here are the best deals for your meet and greet parking – and the overall independent ratings for satisfaction. With meet and greet parking, you won’t need directions to off-airport car parks, but simply where to drop-off your car at the North or South Terminal. Here’s a guide to where you’ll need to head when approaching Gatwick Airport’s South or North terminal. And don’t worry, you’ll get full instructions emailed to you before you travel. Copyright © 2019 Airport Parking & Hotels. All rights reserved.